As soon as you decide that you are going to be moving, the natural instinct is to want to pack everything up and get ready to go. While you can’t pack everything ahead of time for your big move, you can get started early and make the final days before moving a little less stressful. A good packing job is at the heart of a successful move, so take the necessary time to pack correctly and you will be glad you did. Following are ten great packing tips which should help you the best job you can consolidating your whole life down into cardboard boxes. Review these tips and put them into use as you start to prepare for your move. 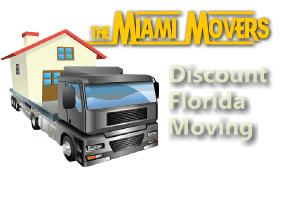 If you need more assistance with your packing, or would just like someone to do it for you, contact the Miami Movers right away and we will be happy to help. 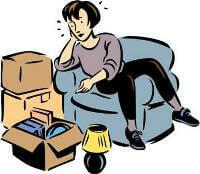 Cardboard boxes have a limit as to what they can support, so don’t push it too far and load up a box with heavy items. Try to break up books and other heavy things so that no individual boxes get too heavy. Always use extra padding, even if it seems like overkill. Depending on how far you are moving, boxes are likely to get bounced around a little bit going over bumps in the road, etc. Especially for boxes with fragile items, use more padding than you think you need just to be safe. Tip #3 – Which Side Up? Some of your items should not be turned upside down, so always mark which side of the box is the top. When your movers come to transport everything to the new place, having marked the boxes will ensure they know how to load the truck. 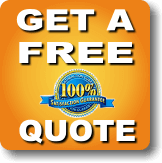 You should use new boxes for your move – or at least boxes that are in good condition. Using old, worn-out boxes is just asking for trouble, as the bottom is more likely to fail and have your items go crashing to the ground. If you are putting some books in a box that will also have some lightweight items, make sure to put the books on bottom so they don’t crush whatever else you put in with them. Each and every box should be clearly labeled as to what is inside, and where it is headed in the new house. It won’t take more than a couple moments to make these labels on each box, but it will be a huge help when trying to get organized later on. You might be able to get the tops of your boxes to stay closed by interlocking the flaps, but don’t trust that method when moving your valuable possessions. A few rolls of tape is a small investment to make considering the value of the things that you are moving. If you are moving larger items that have been assembled, consider taking them apart and packing the pieces into boxes to be put back together later. This not only makes the packing of the truck easier, but also reduces the chance that the item gets broken somewhere along the way. It isn’t necessary to take up valuable packing space with food items that can easily be replaced. If you have canned items that are still good, consider donating them to a food bank on the day before the move so they can go to a good cause, rather than just being dumped. Tip #10 – Start Now! It is never too early to get started packing for your move. Start by packing things you don’t anticipate needing before moving day, and you will have less to do when the time comes to start loading the trucks and heading out to your destination.